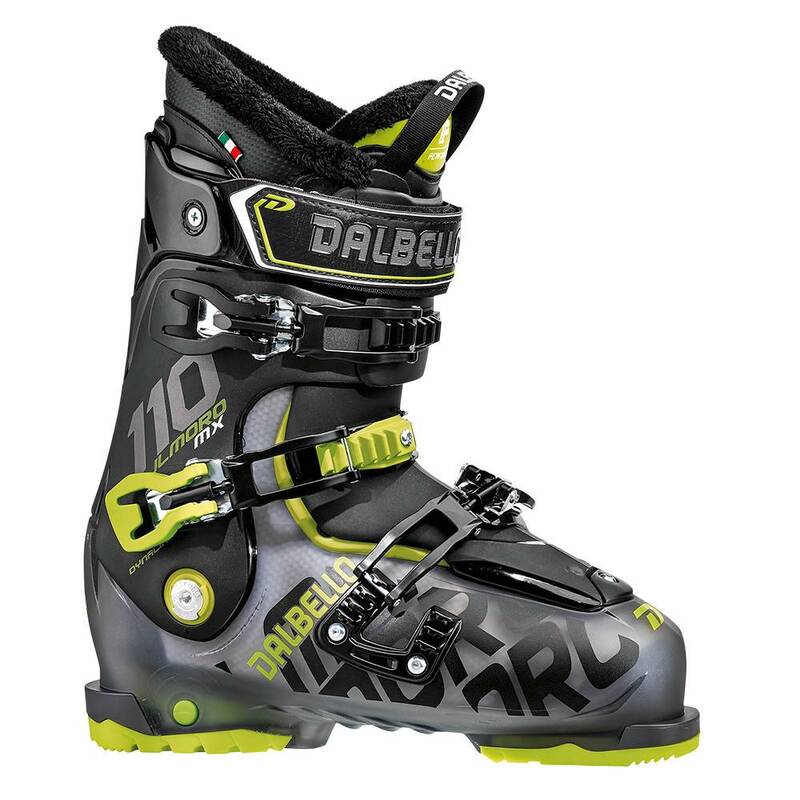 The Il Moro MX 110 from Dalbello is a great ski boot for the strong intermediate to expert level skier that has a medium to wide forefoot and medium size shaft of the leg. A Center Balanced Stance has a more upright cuff that improves your energy transmission and efficiency while skiing on modern ski shapes with rocker. The Contour 4 Shell has expanded areas in the 4 most problematic areas that bootfitters need to address. Dalbello's My Fit Shell is fully customizable by an Authorized Dalbello Dealer who can heat the shell in a special oven, then setting it on your foot. As the shell cools it molds to your foot. The IF Performer Liner is also heat moldable to give you a perfectly dialed in fit. The Kinetic Response Tongue is made from a Polyamide that keeps consistent contact with your shin and adds responsiveness to your skiing. If you want a tough boot that fits great out of the box, or is very easy to customize, the Dalbello Il Moro MX 110 is a perfect choice.